For decades, parents have relied on L.L.Bean for rugged backpacks, messenger bags and lunch boxes that are built to last. Our broad selection makes it simple to find the right pack for your kid, whether your child is beginning preschool or grad school. You'll find packs that have stood the test of time, like our Original Book Pack that's been a favorite since 1982, as well as new packs that go well beyond the classroom with technical hiking features and all the comfort you need on the trail. Use our shop-by-age feature to find your school backpack quickly, or shop by color or style. 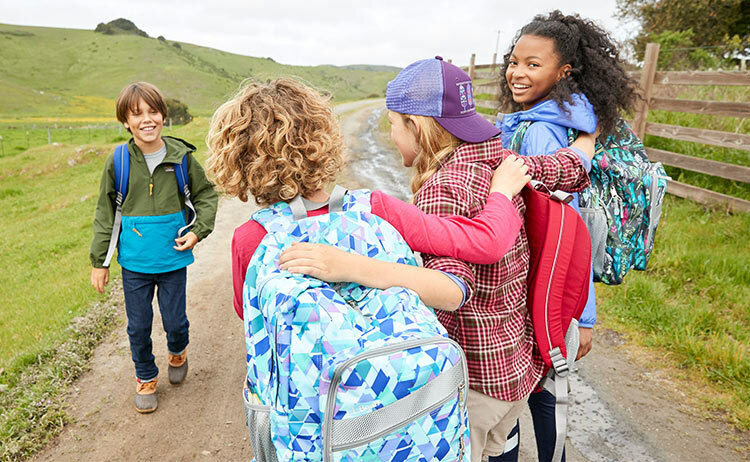 When you've selected your kids' pack, you can buy with confidence, because we test every pack and messenger bag in the lab and in real-life situations to meet our high standards.